Glamping guru, Sabrina Hearthstone, is the best of the best at what she does, and she could very well be Trevor's saving grace. The blonde beauty arrives at Wildhorse Ranch ready to get the job done. She's all business when it comes to bringing a little luxury to the leather and dirt clad Ranch. But soon she'll realize that to renovate the Ranch for Glamping she may have to renovate its cowboy too. Sabrina is tempting on a whole lot of levels for Trevor - when he gives into both her touch, and the 1,000 thread count bed sheets, he finds that she soothes his soul. However, Sabrina's world is a difficult thing for the hardened cowboy to accept. 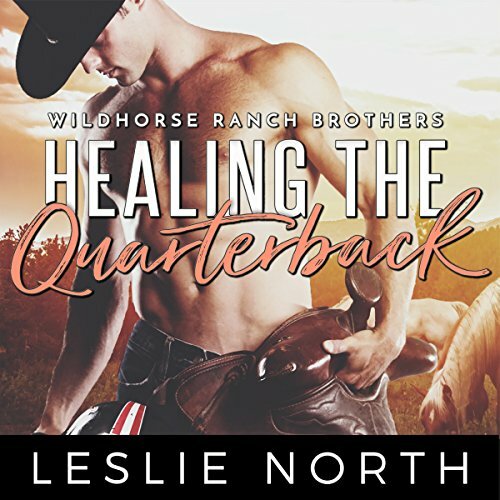 Trevor will have to learn to accept Sabrina and her changes to his world, not only to save Wildhorse Ranch, but to save a love he never expected to find. Charlie Wild knows how to score. On and off the field, he’s been a force to be reckoned with since his father taught him how to throw a spiral in the back pasture of Wildhorse Ranch. But a recent injury calls into question his ability to play football and points a finger at his wild child reputation. He’s been given an ultimatum: overhaul his image by renovating his hometown hospital or get off the field.